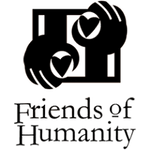 Although Friends of Humanity is not affiliated with any religious organization or denomination, we are grateful for the support of Miami Shores Presbyterian Church. Church members have been very active in collecting donations for distribution to the children of House of Hope and in assisting with all our projects, including installing plumbing. Recently, Andrew Smith accompanies Renel Noel, our president, to document the status of the orphanage and the medical center in photos. You can see them in our photo gallery.